In pubs and folk clubs throughout the land there are musicians plying their trade, entertaining small crowds of live music disciples, performing a mixture of covers and their own original material. Every town has a stalwart, an act who can be relied onto bring people to put money across a bar. Someone who can be guaranteed to create a night of laughter, sing along, the odd heart tugging tear jerker; someone who brings to life the music of the greats now longer with us or those who wouldn’t be seen dead in the Dog and Duck or Fleece and Firkin. In North Oxfordshire we are lucky to have one such act, the fabulous Pete Watkins. Not long after I moved to Banbury I caught Pete supporting The Blockheads in our local music theatre. Walking on stage with just his guitar and stomp board this unassuming guy proceeded to throw brilliant acoustic versions of a load of old punk tunes out warming up the crowd for the main event. Since then I’ve caught him a few times in local pubs performing his encyclopaedic catalogue of cover versions. But always during the set Pete would also ask for permission to play a couple or three of his own tunes; with particular crowd pleasers such as Papa John Spiderman getting brilliant reactions. So it was a great privilege when I interviewed Pete as he performed a session on a radio programme I used to do. Finding out about his influences from growing up in the industrial areas of South Wales, the music he listened to and about the songs he wrote was an amazing experience, its just a shame we only had an hour as Pete and I could have talked for much longer and he certainly would have been happy playing more of his own songs. So when Pete’s new album, with the Originals (percussionist Drew Pountney, Gordon Raitt on bass, guitar and keyboards and fiddler Jono Watts), Palace of Varieties, dropped through my letterbox I was completely enthused to listen to these new recorded versions of 13 of Pete’s own original material. And for certain it doesn’t disappoint at all. From Pete’s deep and timbrous vocals telling stories hewn from years of experience backed by really lovely playing from the band taking us through a South Wales version of country blues this album really does show off Pete’s abilities in presenting music. There are so many sounds and influences throughout the album; a bit of Johnny Cash, a little Lonnie Donegan and a smattering of Billy Bragg., but none at the expense of Pete’s own voice. There is a real talent for telling stories that have a personal touch at show on this album. There’s a gentle humour in some places such as the ode, Papa John Spiderman, to the guys who dress up in superhero costumes to sell takeaway pizza, whilst there are songs that have a power or even an anger like Iron, Stone and Steel which draws on Pete’s life growing up amongst the pits and steel works of South Wales. 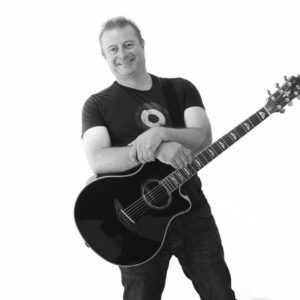 We are so very lucky to have musicians like Pete Watkins who week in week out put their ability to perform the music that people love ahead of their own ambitions. And it is a love; these guys will never lead the rock star life, and probably wouldn’t want to either. They’re happy just playing great tunes for appreciative audiences, hopefully making a couple of quid and a free pint or two, putting a smile on peoples faces. But we shouldn’t forget that these guys are talented musicians in their own right. Many of them will and do write their own material, and its often at a really high standard. So when they do put an album out, often financed by themselves, then hell, we should support them and buy it. 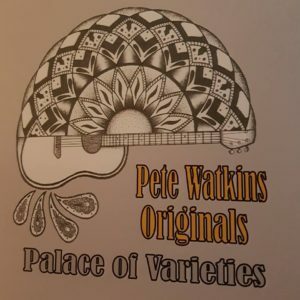 And when its something as brilliant as Palace of Varieties by The Pete Watkins Originals it will be one of the best ten quid notes you’ll spend this year.